In 2010, a Pew Research report indicated that three out of every four members of the workforce expect to keep working for pay after they retire. 60% of them believe this will be by choice, not necessity – but pre-retirees may be more optimistic than justified in their expectations. According to the Center of Retirement Research, less than half of all households are financially prepared for retirement at 65; a quarter will need to work at least one to three more years; and almost one in ten will need to work past age 72 or longer. Whether by need or choice, it’s clear that plenty of folks are likely to continue working in one capacity or another after they officially retire. The decision of whether or not to do so is dependent upon a range of factors. Financial security for American citizens usually results from a combination of government programs, personal assets, and employer benefits. However, each of these factors is undergoing historical transformations right now. Unfortunately, these transformations may mean Americans have to move the goalposts back a bit when it comes to their retirement goals. Conventional wisdom suggests that the average annualized return for common stocks over a period of 10 years or more is positive, somewhere between 7% and 9%. However, statistics have a way of disguising inconvenient truths: According to AllFinancialMatters.com, there is actually substantial volatility in the numbers – mainly related to start and end dates. Suppose three brothers work for the same company and each invests $50,000 in its 401k plan over a period of 30 years. 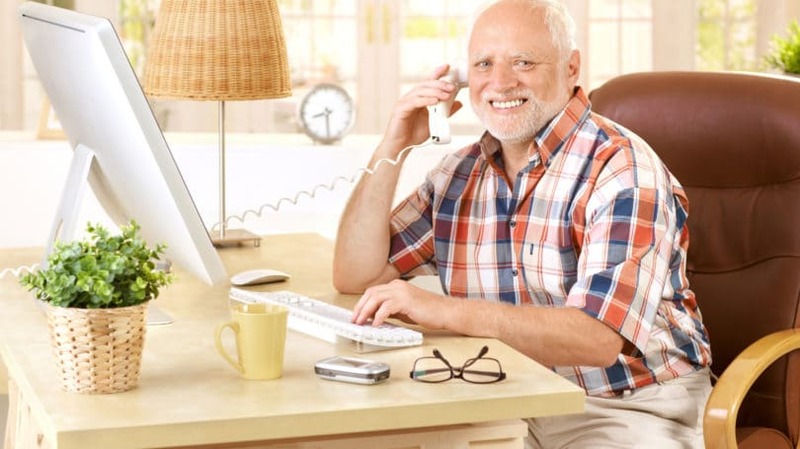 Joe, the oldest brother, begins investing in 1966 and – assuming the results mimic the S&P 500 return – retires in 1996 with $1,871,111 in his account. Bill, the middle brother, who began investing in 1976, retires in 2006 with $1,520,397 in his account. And Mike, the youngest brother, begins in 1983 and retires in 2013 with $1,050,416. These figures do not include the effects of inflation or the deduction of fees. Many retirement professionals previously advised that an annual 4% withdrawal rate would result in sufficient funds to last through 30 years of post-work life. In other words, a fund of $1 million could provide $40,000 per year. However, due to lower yields on fixed income investments, many retirement planners now recommend a withdrawal rate between 2.7% and 3.0% in order to achieve a 90% probability of not outliving your assets. Lowering the distribution rate means that income must now be replaced from other sources, and your standard of living must be lowered. Defined benefit plans began to disappear in the 1980s as companies increasingly shifted the risk of retirement planning to individual employees. What was once considered “an unbreakable promise” from an employer to an employee is now increasingly rare, as companies drive down labor costs – even in the face of prosperity. Congress established the Pension Benefit Guaranty Corporation (PBGC) in 1974 to provide some security to employees who had worked for years only to find their pension plan benefits had disappeared. By 2012, so many pension plans had failed that the PBGC was underwater with a deficit of more than $34 billion. In addition, corporations are increasingly reneging on healthcare benefits to their retirees and shifting more of those costs to their employees. According to a 2013 Bloomberg article, Fortune 500 companies such as Time Warner, IBM, and GE plan to move retirees to a government-run exchange, pushing “more costs onto U.S. taxpayers.” It is likely all employee and retiree benefits, except for those senior executives who negotiate employment contracts, are destined for reduction or elimination in the near future. 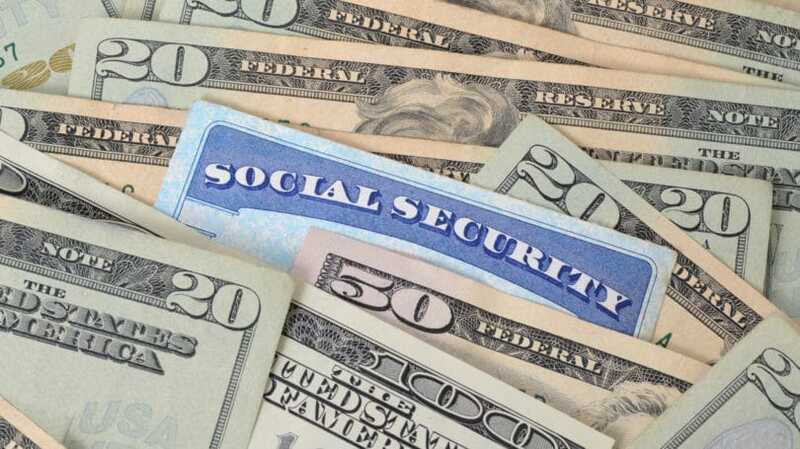 For years, critics have attacked the Social Security program as unsustainable, claiming that its benefits are too rich and the ratio of retirees withdrawing funds to workers contributing them is out of whack. Indeed, the Congressional Budget Office projects that Social Security payouts will exceed its revenues by 12% over the next decade. Even proponents recognize that change is essential if the program is to be available to future generations. Thus far, changes have been made to extend retirement dates and weaken inflation protection for those already receiving benefits. Proposed changes range from privatizing Social Security entirely, to means-testing those who might receive payments in the future. While this is likely to set off a protracted political fight, it seems inevitable that future Social Security beneficiaries will receive less income and bear greater risk than in the past. Similar changes are in store for Medicare, the government program most responsible for shouldering healthcare costs for the elderly. Many observers believe Medicare is in worse financial shape than Social Security, with costs predicted to increase to an unsustainable 5.8% of GDP by 2040. Politicians have not been reluctant to present new ideas, but almost every proposal would have seniors bearing an increasing share of the costs or going without care to save money. Healthcare is now one of the largest costs in senior budgets. In 1950, a male retiring at age 65 could, on average, expect to live an additional 12.8 years. By 2007, that number had reached 17.2 years, according to the CDC. At the same time, as we grow older, we’re at greater risk for Alzheimer’s Disease and dementia – according to the Alzheimer’s Association, the risk doubles every five years after age 65 and reaches 50% by age 85 – necessitating in-home care or a nursing facility. As a consequence, future retirees are likely to require at least five years’ more income than their parents, with the possibility of major costs in the last years of their lives. Since 1930, the U.S. has experienced only eight years of deflation, four of which occurred between 1930 and 1933. The last was 1955. The impact of inflation has been pernicious and constant. For example, the same goods that sold for $1,000 in 1930 sell for more than $14,000 in 2014. In 1970, the average starting salary for bachelor degree recipients with accounting specialties was $39,700, or the equivalent of $155,935 in 1995 real buying power. The starting salary for the same graduates in 1995 actually fell to $28,000, reflecting both the change in supply and demand for accountants, as well as the significant cost of inflation. Joe, the oldest brother in our example above, retired in 1996 with a comfortable income from both Social Security and investments ($20,000 per year in Social Security payments plus $95,000 from his $1.87 million investment account, a 4% annual withdrawal rate). However, because of inflation from 1996 to 2014, his actual buying power dropped by more than one-third to $62,500. For those with fixed incomes, the combination of longevity and inflation eventually steals any semblance of financial security – and the impact escalates over time. Possible Deductions From Social Security Payments. If you are under full retirement age (between 65 and 67 depending on when you were born) when you start receiving Social Security, your benefits may be reduced – the amount depends upon your age and income. Once you reach full retirement age, there is no limit on earnings and no deduction from benefits. Taxation of Social Security Benefits. Based upon your outside income, Social Security benefits can be taxed up to 85% of the amount received. Minimum Required Distributions From IRAs. Between the ages of 59 1/2 and 70 1/2, you can take as much or as little as you want from your tax-deferred retirement accounts without penalty. Beginning at age 70 1/2, however, you are required to take minimum distributions based upon your age and fund balances or pay a 50% penalty on monies you should have taken, but did not. For this reason, many retirees elect to convert their traditional IRAs into Roth IRAs prior to reaching the mandatory distribution age. Roth IRAs charge no additional income tax and impose no distribution requirement. For many Americans, the dream of retiring at age 65 and continuing their lifestyle is no longer attainable. Outliving one’s assets is a common worry for seniors faced with longer lives, higher healthcare expenses, and reduced government benefits and entitlement programs. The question for many approaching retirement is not whether they will work, but how much. Longer Asset Accumulation Stage. According to household income statistics, peak earnings and savings years tend to be between the ages of 45 and 54. Accordingly, the bulk of savings contributed to a portfolio occurs during that period. Working an additional five years, although not falling in that peak range, can still boost your total assets when you eventually retire. Higher Savings Percentage. Older people tend to save a higher percentage of their income as retirement approaches. In addition, they typically settle into a particular lifestyle and no longer feel pressure to keep up with the Joneses. Continuing to work means not only earning more money, but likely keeping more of it too. Shorter Asset Distribution Period. While post-retirement life expectancy remains the same, at 17.7 years for a 65-year-old male, a 70-year-old’s portfolio covers fewer years of life (12.7 years). In other words, workers who retire at age 70 are not only likely to have higher retirement fund balances, they’re going to need fewer years of payouts. Higher Social Security Payments. Deferring Social Security until age 70 1/2 provides a greater monthly payment and eliminates any chance of reduced benefits due to high income or penalties for earned income. Health Benefits. A 2013 British study unequivocally linked working longer with living healthier. It also found that retiring increased the probability of suffering from depression. With the passage of the Age Discrimination in Employment Act of 1967, companies are prohibited from age discrimination against workers over 40, giving employees the chance to continue at their current jobs. Doing so can have many advantages, including continued participation in company benefits such as 401ks and insurance programs. In addition, many companies have active consultant or freelance programs for their retirees. While not employees, these workers may receive similar income and continuation of certain benefits. As freelancers, they are self-employed and responsible for paying their own taxes – but many work-associated expenses may be tax-deductible, including a home office, computers and other equipment, as well as the cost of a vehicle to go to and from work. The experience and familiarity of retirees with their industry and company enhance their value. Employers have the option of defining how many hours constitute part-time or full-time work, subject to some specific limits regarding benefits. For example, any employee who works 1,000 hours per year must be given the chance to participate in any pension or retirement plan. Workers are considered “full-time” if they work 30 or more hours per week, and they must be offered health insurance starting in 2015. Some employees simply switch hats and continue to do the same work they did before. Management consultants, financial advisors, and insurance professionals are occupations that transfer easily from a big company to self-employment – after all, their expertise remains valuable. However, workers leaving a company to strike out on their own need to be especially cognizant of any employment contract restrictions or the dissemination of their former employer’s proprietary trade secrets. Other employees, having worked 30 and 40 years in a single occupation, are eager for new experiences. Lawyers become writers, accountants become retail clerks, and professors become ministers. Some people turn their avocation into a vocation, surprised to find what they do for fun would be purchased and treasured by others. Some retirees have turned to franchise operations to provide income as well as the possibility of building a business that can be passed onto children. While some franchisees are very successful, others enrich only the promoters. If you have an interest in owning a franchise, analyze it as you would any other financial investment. Picking a bad franchise can mean working long hours for less than minimum wage and losing the hard-earned capital you’ve accumulated over the years. While delaying retirement for several years and continuing to work can be a bitter pill to swallow – especially if you’ve spent the last few years anticipating cruise ships and noon wake-ups – there are tangible benefits to waiting. You are likely to have a larger investment portfolio and fewer years that need funding, giving you greater security. Waiting until age 70 increases your Social Security benefits significantly for you and your spouse as well. Are you planning to work after your official retirement?